Giveaway today from Southern Fabrics!!! Aubrey and her girls carry all sorts of cute lines from top designers. They have pre-cuts and yardage and also a good selection of patterns. They also have great "deal of the day", check out the home page to see todays! Noteworthy from Sweetwater. Love this soft color palette! And Kate Spain's new line, Honey Honey. I absolutely love her stuff. Her designs are great and she's right on with the colors, I can always use her lines with other fabrics. Fabulous! And Kate Spain's Good Fortune at 30% off. Love this line! I've used a ton of it!! Would you like a $25 gift certificate to Southern Fabrics???? * visit Southern Fabrics and let us know which fabrics you're loving! I am absolutely DROOLING over Honey Honey and Noteworthy - both are on my "must have" list!! Thanks for the chance to win a gift certificate! I love Honey, Honey with all my heart. 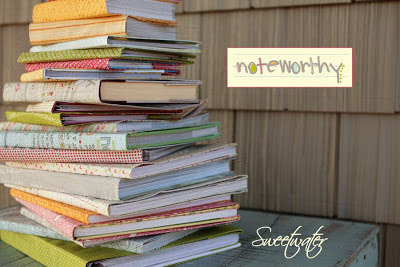 I love noteworthy :) Terrific giveaway! Yay I already like them on Facebook!!! They have so many lovely fabrics - yum!!!! Kate Spain Cuzco, love the bright colors. I like Southern Fabrics on Facebook! What a nice giveaway! The thing I like MOST about their shop is the way they showcase "Collections." When you click on "collections" you go to a page with thumbnails of all the collections they carry! My favorites (could not narrow it down to one!) are Gypsy Girl, Good Morning, Hometown, and Spa! Honey Honey for me plz! Thanks for a great giveaway! Love the "Honey, Honey" fabric! What fun colors to sew with! Just " liked" them on fb! Thanks for. Pointing me in their direction. I already like them on FB. Thanks for the chance! They still have yardage of several of the dragonfly prints from Good Fortune - I would love to get several yards of one (or more) of those. Oooh, definitely the Noteworthy. I love anything by Sweetwater. I like them on Facebook now! And of course I always love ANYTHING by Kate Spain, but Noteworthy is really singing my song with all those soft summery colors, too! there is so much to love! I'm going with Marmelade! I'm loving Simply Color and Cuzco. And a long list of others. Love so many of the Kate Spain collections! Looking forward to making a quilt for my daughter with Marmalade. Simply Color does it for me! I'm loving Lucys Crab Shack - Ocean Green - Childrens Beach Blanket Multi (5483 12) right now! I like Southern Fabric on facebook! 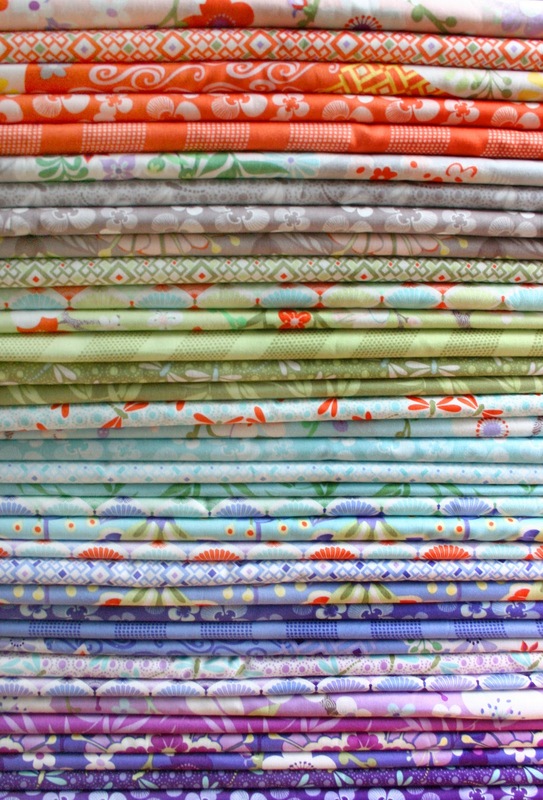 I am loving Marmalade and I love how you have thumbnails of all of the collections! I would love some Seascape charm packs. I love the Noteworthy Charm Pack! Honey Honey in all forms! LOVE the McKenzie line in their shop! I really like their scrap bags. I'm working on a postage stamp quilt so I'm all about scraps right now. I like how they have there's bundled by fabric line. I am really liking the Holiday Medley collection right now. I already like Southern Fabric on Facebook! I've had a massive fabric crush on Good Fortune for a while now, although I've started developing feelings for Noteworthy too! I'm a facebook fan of Southern Fabric. I liked the spa and the scoot lines. So fun! Still loving Lucy's Crab Shack. I like Southern fabrics on Facebook. I like Hello Luscious. What neat fabric. I'm loving Posy these days - those prints are so sweet and the colors are perfect for spring projects. I love anything and everything by Amy Butler! Nice to see that she has lots of Soul Blossoms and Love to choose from - they are two of my favourite collections of all time! And I like them on Facebook, too! I want all the packet "Good Morning"! They would make the happiest quilt! Thank you for a wonderful give away! I love Marmelade and Noteworthy. Thanks for a great giveaway! I would love to make something with the serenade foliage prints! i'm loving the honey honey precuts! 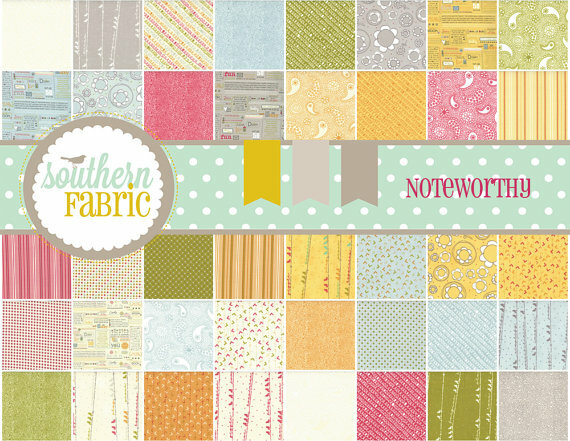 I'm an FB liker of Southern Fabrics! I'm loving the Coquette Lacy Bouquet Yellow 16060 14 by Chez Moi fabric, although they are currently out of stock. :) It sure is lovely! LOVE THE "HONEY HONEY" COLLECTION! THANKS TO YOU+SOUTHERN FABRICS FOR A GREAT GIVEAWAY! Really love the look of that new Sweetwater, the Noteworthy. Also really like Notting Hill! Thanks for the giveaway! What a generous giveaway! I'm loving Once Upon a Time. :) Thanks for the chance to win! I am loving Sweetwaters Mama Said Sew - especially the pinwheels! I love Cuzco right now! Notting Hill and Soul Blossoms are two of my favourites in the shop. Love Posy and Notting Hill! I already like them on FB!!! Thanks so much!! I am loving Honey Honey too!! Thanks so much to you and Southern Fabrics for this sweet giveaway!! I really like Southern Fabric and told her so on Facebook! I love the Soul Blossoms line and Good Fortune as well. I like the dark blue Cuzco. I like Southern Fabrics on FB. Wow, how gorgeous! I love the Honey Honey because it'd be perfect for a quilt I'm making for my daughter but I also love Gypsy Girl because it looks so fun. I like Southern Fabics on FB! They are so great! 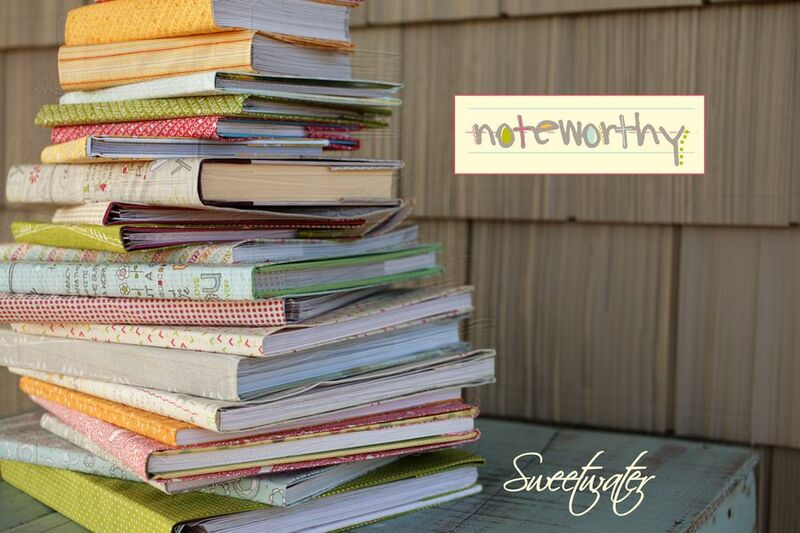 I love Noteworthy and anything by Sweetwater! I follow Southern Fabrics in Facebook. I love the Good Fortune and Honey Honey by Kate Spain! Already like them on Faceboook. I love "Good Fortune", but really anything Kate Spain is gorgeous!!!! Cuzco, Cameo, and Cherry On Top, are but a few of what I love!!! I liked Southern Fabric on FB! Thanks for the chance to win! I hadn't seen Cuzco before... love it!! I am loving the Noteworthy and Good Fortune lines. I don't know how I'd pick between them if I won. Thanks for the chance though! Some Honey, Honey would make my day! I've liked Southern Fabrics on facebook! I like the golds and greys in Taza. Moments ago I was working on a quilt made of Aviary 2 in Saffron. I love the purple shades too. I liked them on Facebook! Thank you! I love the rich colors in the Cocoon collection, Marmelade somehow works in the elegance of the traditional with a handful of modern pieces, which I love, and Ruby would mix in nicely with a quilt I started just for me. 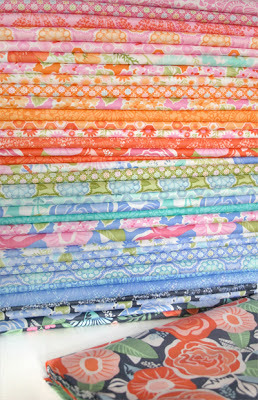 I love love love the Joel dewberry fabrics Notting hill! I also love the ombré fabrics! Thanks for the giveaway! I've gotta get one of those simply color ombre jelly rolls! Thanks for the chance! These are all pretty, but Good Fortune is my favorite! 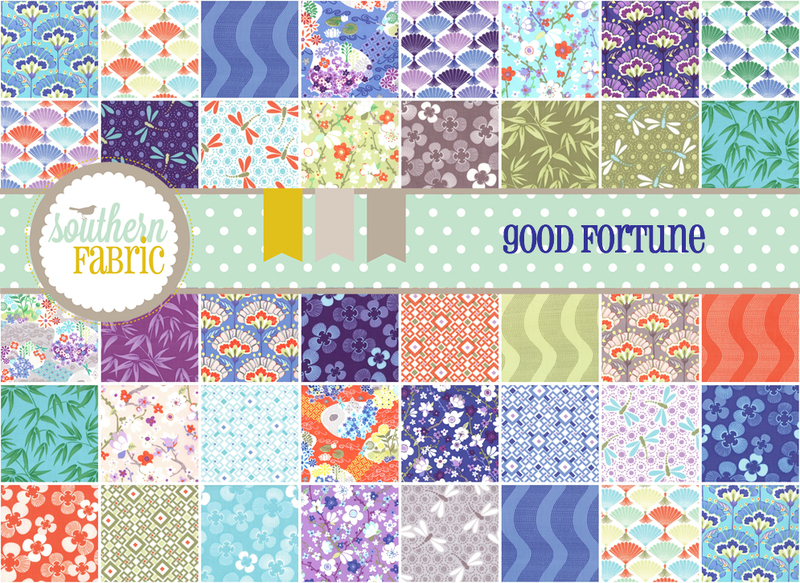 There are lots of awesome fabrics there...but I'm a big Kate Spain fan, and I'm loving the 30% off good fortune fabric. I promised myself I would slow down on the fabric buying, but I love that line and only bought one little piece of it. I "like" Southern Fabric on Facebook. One of the fabric lines at Southern Fabric that I like is the Love line by Amy Butler. There are still a lot of the fabrics from that line available. All of them are so yummy, but I love the Honey Honey. So fresh! I already like them on Facebook, and I love love love Amy Butler's "Love"! I like the Southern Fabrics page on Facebook. I still love Mama Said Sew (and anything else) by Sweetwater! Thanks for the chance to win! I like them on FB (jdgunthorpe at yahoo dot co dot uk). I love the Kumari Garden in Pink FQ collection. so pretty! 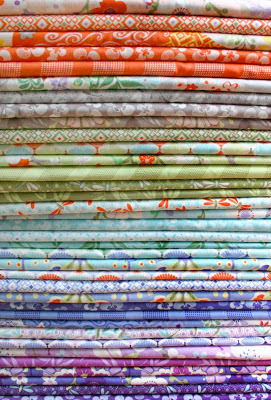 Southern Fabrics is a great place to find old favorites as well as shiny new lines. I'm happy to see Salt Air again. I am really digging Aviary right now! 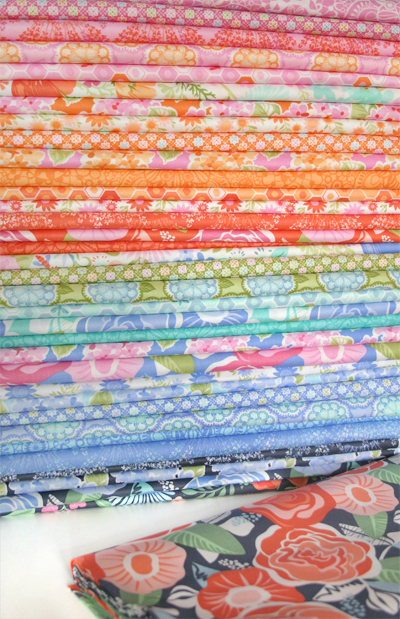 All the pretty pretty fabric! I love everything Kate Spain does so I have Honey Honey on my mind now. Thank you and Southern Fabric for an awesome giveaway and a chance to win. I'm already a follower on FB. I Likey Likey! I like Little Black Dress,thanks. I really like Noteworthy & the Riley Blake chevron bundle. Thanks for the chance to win. I'm a diehard Kate Spain fan, so I've been eagerly awaiting Honey Honey! I like them on FB too. I like their Scrap Bags page, especially the Santa's Little Helpers! I want the Simply Color Layer Cake by V and Co! I am a fan of them on FB. Wow...so many great fabrics to chose from. I like anything reproduction, so I like Metropolitan Fair or Dancing in the Rain. Couldn't decide between the 2. Ok, thank you for encouraging (!!) me to "LIKE" Southern Fabrics... I did, and do! And went to their website...and I so love the Seascapes/Moda...trying to think of what quilt pattern and for whom???? Yikes, tried to save posts...I like Southern Fabrics on FaceBook! LOVE the Good Fortune Waterfall Purple...might have to make a dress! I have liked them on FB for awhile! I love the Good Fortune print! I bought some when it first came out and am just now planning on cutting into it. I may just need to get me some more soon! Ok it's hard to choose one with all that eye candy! The new Kate Spain line is awesome! And notting hill and the modas and Blake's oh dear I gotta get another job! I like Cuzco and also the Posy precuts. Spa and cuzco are one of my favorites.Thanks for the chance!! I'm loveing gypsy girl and Posy. What a great shop! I just learned aout Southern Fabrics this morning from another blogger. I need some Good Fortune for a backing so I'll be hopping back over to them quickly. I love Kate Spain so of course Honey Honey is on my wish list. Thanks for the chance to win. I need some more Amy Butler in my life! I already like them on Facebook and love the new Kate spain collection. I've liked them on FB and am a customer! Great shop. Hard to pick a favorite. I do have Good Fortune stocked up for a project, so I'd say I'm still liking that. I am loving the simply color line right now. So many fun things you can do with them! There are so many fabrics to chose from. I like Noteworthy right now. That will probably change tomorrow when I see something else. I'm loving Simply Color and Vintage Modern. Thanks for the fabulous giveaway! I Love, Love, Love the Noteworthy line. I bought some of it and also bought a really cute quilt pattern! Can't wait to get started. Merry Christmas handmade sister gift exchange..